Progress means making incremental improvements over time. But the big ideas are disruptive and represent real breakthroughs that can bring significant advances to an industry. Gestalt is committed to bringing anatomic pathology into the digital age. Gestalt Diagnostics, LLC was formed as a joint-venture in 2015 that included Nuvodia, LLC (a subsidiary of Inland Imaging Investments, Inc.). Nuvodia provides PACS hosting and healthcare technology services to physicians, hospitals, clinics and laboratories across the United States and manages millions of medical imaging exams annually. 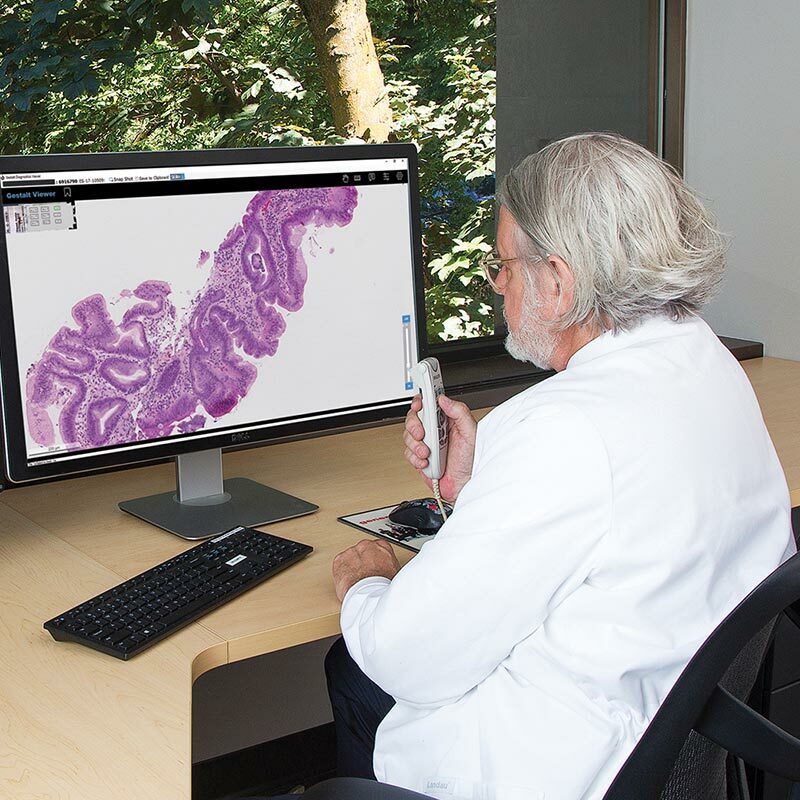 Gestalt Diagnostics has developed PathFlow, a software platform specifically designed to bring the benefits of digital workflow to pathologists and pathology laboratories. This product was originally developed, by what is now Gestalt’s team, to support Inland Imaging’s radiology practice as they evolved to a fully digital reading platform. Medicalis [Siemens Healthcare] acquired the rights to the intellectual property and has continued to expand the features and customer base nationally. Today it is used in leading hospitals across the United States and supports more than 13 million studies annually. There has been no better time, and no better team to help your laboratory adopt digital pathology and all of the benefits it offers.